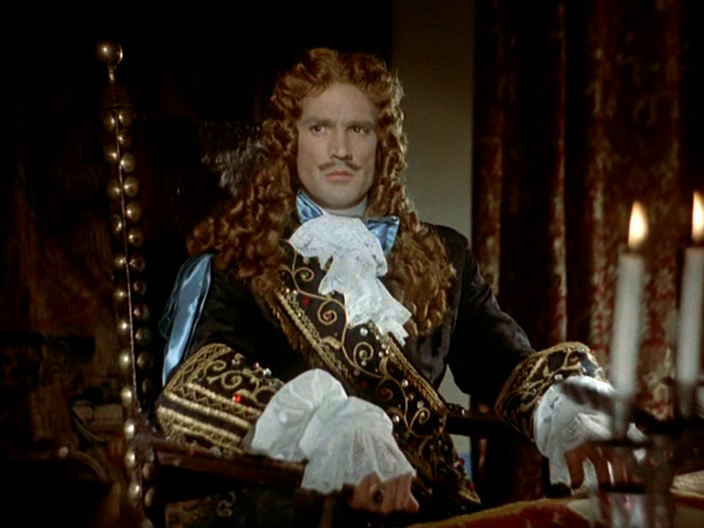 Sacha Guitry, has made a massive French color film that pays a strange panoramic homage to the golden age of French monarchy. It is known here as-"Royal Affairs in Versailles" . In France it was called "Si Versailles M'Etait Conte" ("If I Were Told About Versailles"). 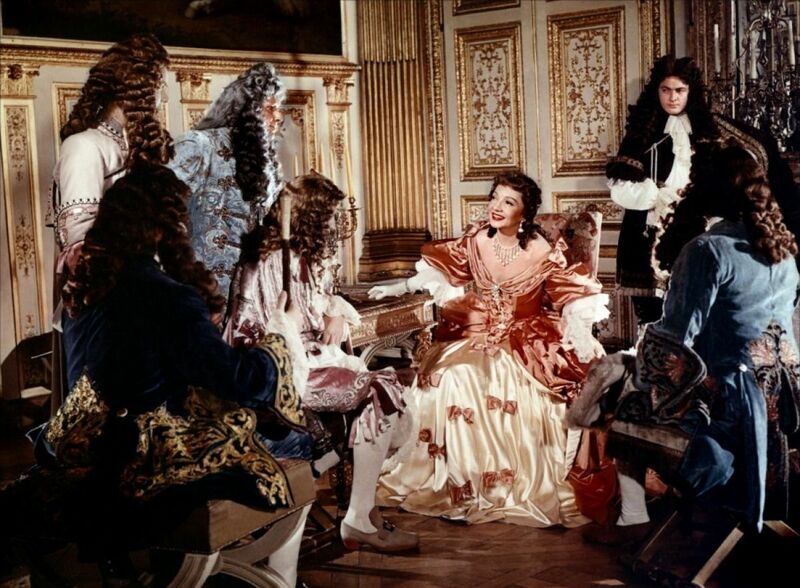 The reckless reign of Louis XV (Jean Marais) is covered in handsome scenes of luxury and flirtation, most of same with Mme. du Pompadour. And the reign of Louis XVI (Gilbert Boka) is suggested largely in an episode snowing the compromise of Cardinal de Rohan with Marie Antoinette. 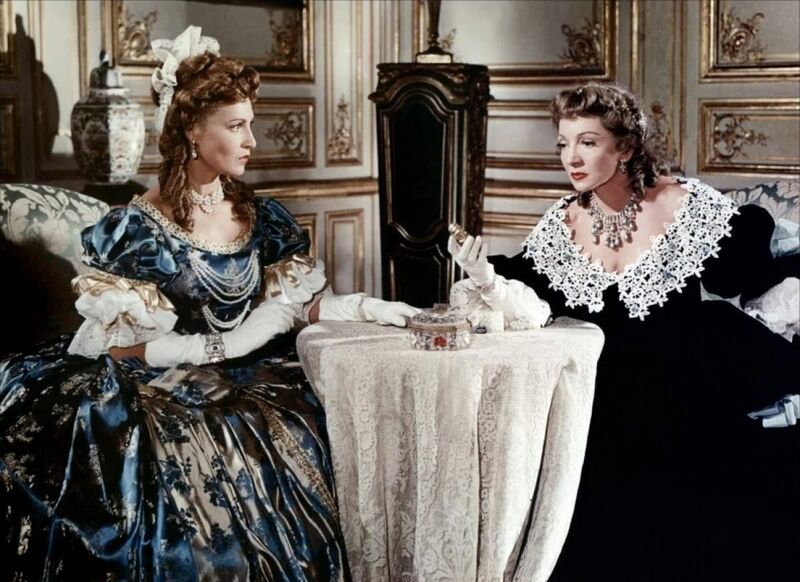 Among the more conspicuous performers are Claudette Colbert as Mme. 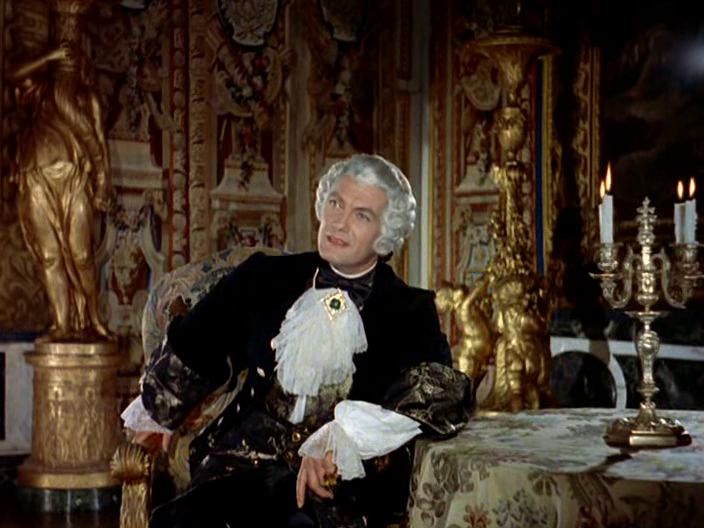 de Montespan, Jean-Pierre Aumont as Cardinal de Rohan, Micheline Presle as Mme. 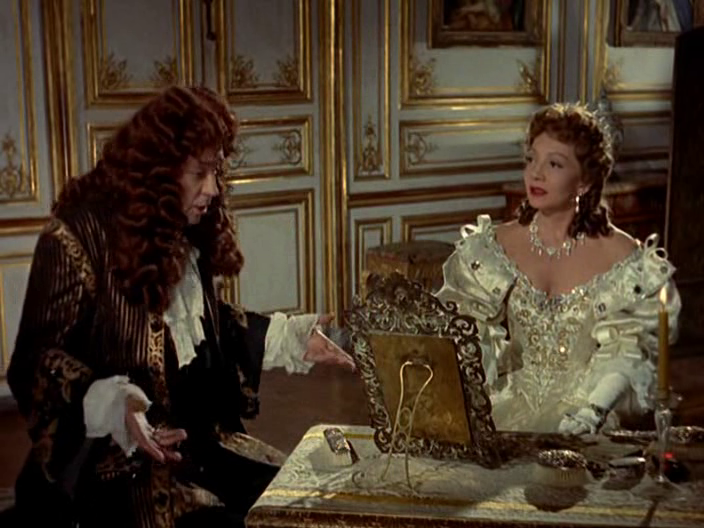 du Pompadour, Orson Welles as Benjamin Franklin and Lana Marconi as Marie Antoinette. They all look good. And so, heaven knows, does the picture. The English subtitles for the French dialogue are barely adequate. Here, we can imagine how would look Angelique if BB was taking her part in the movie. For me Michele Mercier, was the perfect pick.